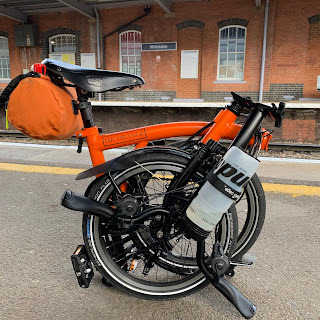 My Orange Brompton: Getting ever closer to 1000 page views! I know it is rather childish but I am getting very excited about the milestone that is 1000 page views! Silly isn't it. Bigger blogs probably have this number of hits a day but I am ever hopeful of achieving what has become a magic number for me. Anyone out there reading this (and can I say that I could hug each and every one of you), please feel free to comment or provide a location in London you'd like me to visit on my Brompton. I would then write about it in my own particular way. In addition please follow as I would love more than the two loyal followers I currently have. So, until my next blog entry happy cycling.